Italy 1974. I love the fashion style of the 70s. Amazing. 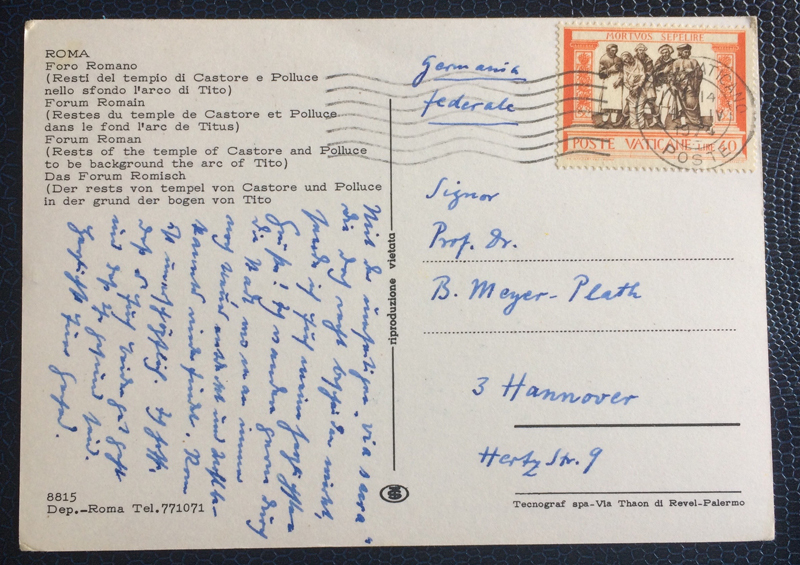 This postcard was stamped in Vatican City and goes to Hannover, Germany. 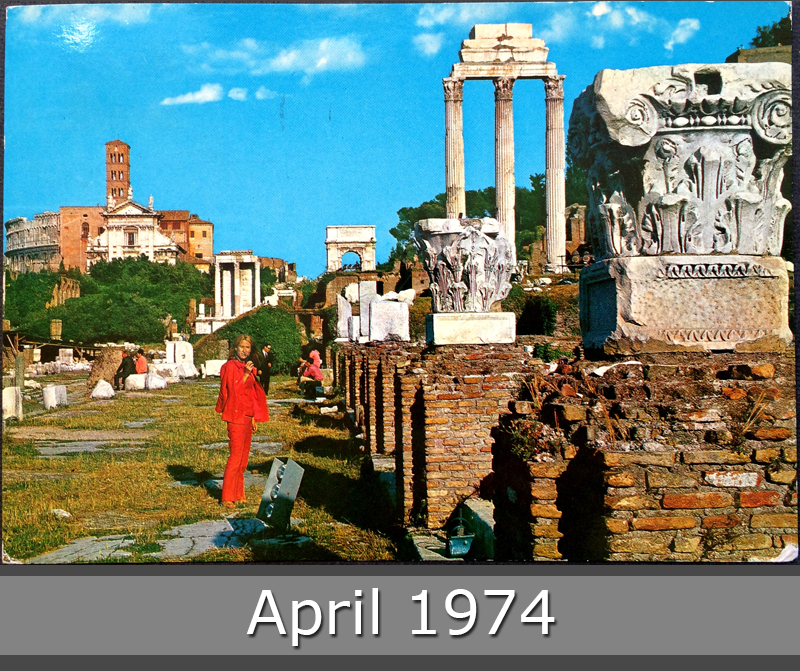 You can see the old ruins of Forum Roman in Rome.